Cement tiles offer the best of both worlds when it comes to practicality and beauty. They are truly one of the best materials to serve as a decorative feature or accent for a special place in your home, or to jazz up a plain area. Durable and artisan made, cement tiles are your one stop shop for the floors, walls, backsplashes, and accents in your space. 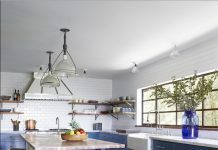 Cement tiles have the power to update any space and add unique personality. They come in a wide variety of colors and patterns, to give modern and traditional homeowners something they love. Our collections of colorful cement tiles range from modern geometric designs and bold two-toned patterns to traditional Moorish, Moroccan, Spanish, and Mediterranean cultural influences. Use one or more patterns to liven up a neutral kitchen, turn a casual living room into an elegant space, or showcase a structural piece like a mantel or built-in shelving with decorative wall tiles. There’s virtually no place in the home where cement tiles can’t be used. 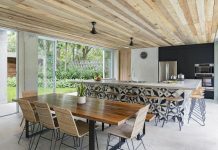 You can also use decorative tiles on a patio, outdoor kitchen, or veranda. The options are limitless! 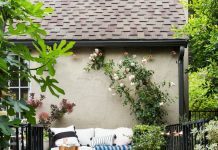 We’ve just discussed how versatile cement tiles are inside of your home, but this part is about all of the unique ways you can use them to create a one-of-a-kind home that speaks to your personal style. You can use cement tiles to tile an entire wall floor to ceiling, like in a bathroom. They make for a perfectly practical solution for combating water stains and mold damage. Outside of the bathroom, use your imagination for creating custom works of art. Use patterned cement tiles above the fireplace as a permanent picture, on a wall in a foyer or living room to showcase a monogram or tile the kitchen walls to create a sleek, modern look. Large, one or two-toned cement tiles can make a room look bigger and feel more expansive when used on the floor. Smaller, mosaic tiles can add texture and visual interest to a smaller space. Tie in the different rooms in your home with complementary decorative tiles. They will stand up better to daily foot traffic, spills, and splatters than ceramic tiles and hardwoods. Create your own spa bathroom with one or two cement tiles in soft, neutral shades, and use them floor to ceiling. The consistency of the serene tiles will be easy on the eyes and help to create a space made for relaxation. 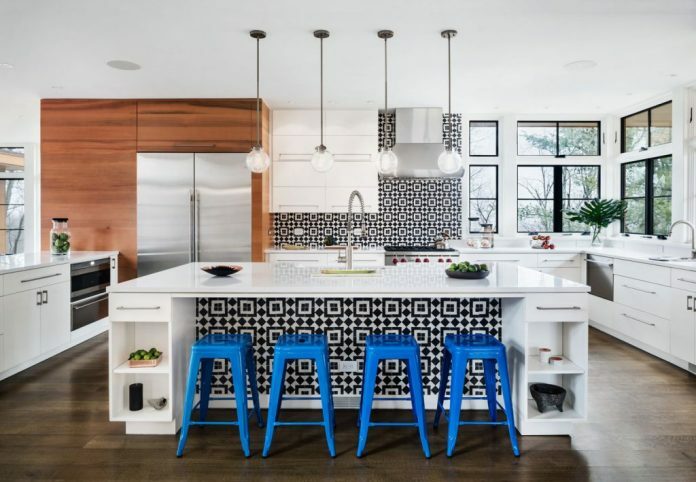 Everyone who knows cement tiles knows how stylish they are for a kitchen backsplash. But the great thing about cement tiles is, you won’t be stuck with something similar to any other home you see or go into. You can create a one-of-a-kind kitchen with custom cement tiles. For even more wow factor, extend the backsplash up the entire wall, and use them on the base of the kitchen island or peninsula to tie everything together. Decorative concrete tiles are made for the stylish yet busy homeowner. They can stand up to the test of time without losing any of their original luster. Get started designing your dream spaces by browsing through our collections and gallery to get inspired. Next articleWhat Are Encaustic Cement Tiles?